My 8 weeks are up so let's talk about Silidyn* again shall we? This tiny bottle of liquid silicon is said to provide benefits to hair, skin, nails, connective tissue and bones. You can read my last post here and that kinda tells you a bit about Silicon itself and why a supplement like this is good to take. The bottle last 8-10 weeks and you take it daily, adding 8/10 drops to water, juice or even your morning tea or coffee. It's so easy to take with virtually no taste. As I've gotten older, and especially in the last couple of years I've noticed my hair grows at a snails pace, if at all, and my nails, well, they've always been an issue. They are so awful, they break so easily meaning they never get to any decent length and they flake like there's no tomorrow! Crap basically. I've also got rheumatoid arthritis as you'll see from the previous post, so was really intrigued to see if this would help my bones and joints in any way, a big ask in my opinion. I can however tell you that I've certainly seen an improvement in my hair and my nails. As I said my nails just don't grow, but at around 6 weeks in to taking Silidyn I started to notice a real difference, they'd become a lot stronger and I was finding they weren't flaking or breaking like they used to and boy they've grown. If you look at my nails in the first picture you can see they look healthy and strong, some may think not particularly long, but trust me these are long for me! My hair has grown too, not massively, but I can notice a difference in the length. It's also become stronger as well and I've not had quite as much breakage which is fantastic. My hair seems glossier and fuller somehow. So, whilst it's not delivered the full set of results I was hoping for, it's not really the fault of Silidyn, it's because of the rotten virus. I mean there's no saying if I wasn't poorly it would have made a massive difference to my joints and skin anyway but I'll never know, although I am actually thinking of buying another bottle and giving it another 8 weeks. 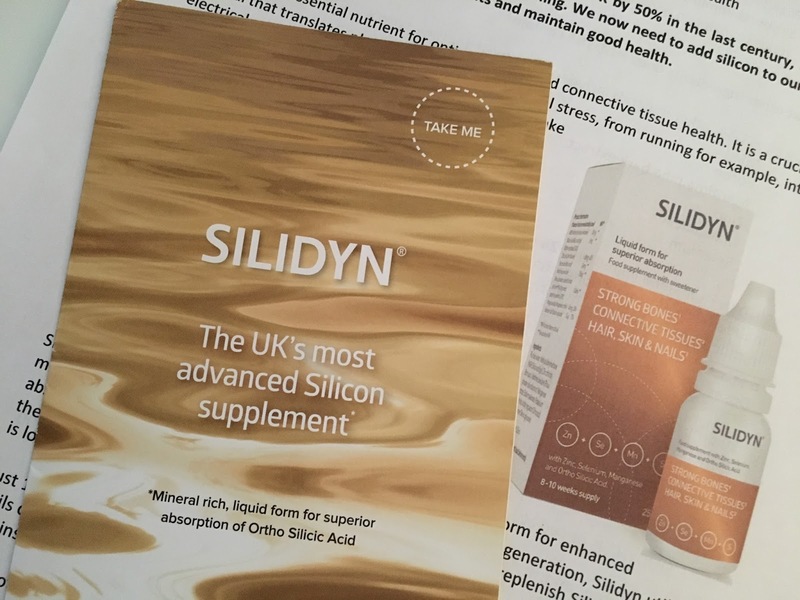 If you're interested in Silidyn and want to know more you find that here and they still have the offer on here which is buy one get one free.